I have divided these replacement bulbs into the two refined listings of: Incandescent bulbs and LEDs. 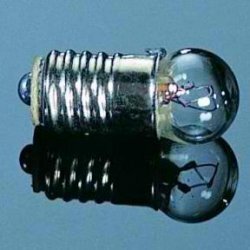 All of the incandescent bulbs are rated at 12 volts and are intended for replacement of any of your exhisting dollhouse light fixture. 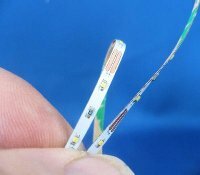 You will need a little more information when sellecting the correct LED. 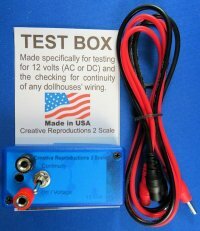 Most LEDs work by themselves at 3 volts DC but by adding a small limit resister can be made to work with the 12 volts of the dollhouse. For more information on LEDs you might purchase my Electrical Booklet as there is a chapter on "Playing with LEDs".